278. Henry Richard11 Godown (Jacob10, Isaac9, Jacob8, Evans7, Jacob6, Jacob5 Goedowne, Abraham4, Jacob3 Godon, Abraham2, Main Family Line1 Godown) was born in Darke Co. Ohio September 18, 1857. Henry died May 28, 1912 Franklin Twp, Darke Co, OH, at 54 years of age. buried in Mote Cemetery, Pitsburgh, Darke Co. Ohio. He married Mary Catherine Cunning in Darke Co. Ohio, May 30, 1878. Mary was born Preble Co, Ohio January 24, 1858. Mary(1638) was the daughter of John Cunning and Elizabeth Minnich. Mary died January 14, 1919 in Arcanum, Darke Co, OH, at 60 years of age. buried in Mote Cemetery, Pitsburgh, Darke Co. Ohio. Henry and Mary had 9 children. In the 1880 census Franklin, Darke Co, Ohio page 98A, Henry (age 22) is living with his wife Mary (age 22), Sarah (age 1), father Jacob (age 60), and nephew Wolice Waitman (age 13). In the 1900 census Franklin Twp Darke Co Ohio page 90B, Henry (age 42) is living with Mary (age 42) and sons Ora (age 19) and Roy (age 16), daughters Cora (age 14), Carrie (age 12), Lydia (age 10), Bertha (age 7) and his father Jacob (age 80). Henry has the occupation of farmer and owns his home. Also Mary is noted as having 9 children with 7 alive at the time of the census. In the 1910 census South Precinct, Franklin Twp, Darke Co, Ohio, page 20, Henry (age 52) is living with his wife Mary (age 52) and daughter Bertha (age 17). Henry has the occupation of General Farmer. 455 i. Sarah Elizabeth12 Godown(1639) was born Franklin Twp, Darke Co, OH August 11, 1878. Sarah died March 2, 1931 in Gettysburg, Monroe Twp, Darke Co, OH, at 52 years of age. She died of a stoke on 2 April 1931 at her home in Darke Co. Oh. buried in Newcomers Cemetery, Arcanum, Darke Co. Oh She married Edward Barton Baumgardner in Darke Co. Ohio, March 27, 1897. + 456 ii. Ora Albert Godown was born March 14, 1881. + 457 iii. Roy Allen Godown was born August 23, 1883. 458 iv. Cora Mae Godown(1641) was born Franklin Twp, Darke Co, OH September 27, 1885. Cora died April 20, 1973 in Darke Co. Ohio, at 87 years of age. buried in Mote Cemetery, Pitsburgh, Darke Co. Ohio. Sol was born in Gettysburg, Monroe Twp, Darke Co, OH September 25, 1879. Sol(1643) was the son of Levi A North and Elizabeth Brown. Sol died July 25, 1944 in Darke Co. Ohio, at 64 years of age. buried in Mote Cemetery, Pitsburgh, Darke Co. Ohio. 459 v. Carrie Belle Godown(1644) was born Franklin Twp, Darke Co, OH August 22, 1888. In the 1900 census, Carrie has the birth date of August 1887 listed and was age 12 on June 1, 1900 (the census date). Carrie died September 6, 1908 in Darke Co. Ohio, at 20 years of age. buried in Mote Cemetery, Pitsburgh, Darke Co. Ohio. 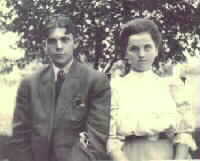 She married Earnest Carl Heckman in Darke Co. Ohio, February 16, 1907. 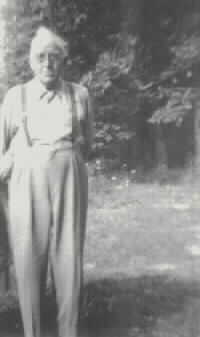 Earnest was born in Medina Co, Ohio May 1888. Earnest(1645) was the son of Josiah Thompson Heckman and Mary C Strunk. Earnest died 1918 at 30 years of age. 460 vi. Lydia Susan Godown(1646) was born Franklin Twp, Darke Co, OH October 6, 1890. In the 1900 census, Lydia has the birth date of October 1889 and was age 10 on the census date of June 1, 1900. Lydia died October 31, 1908 Franklin Twp, Darke Co, OH, at 18 years of age. buried in Mote Cemetery, Pitsburgh, Darke Co. Ohio. 461 vii. Bertha Alice Godown(1647) was born Franklin Twp, Darke Co, OH November 18, 1892. Bertha died January 4, 1946 in Darke Co. Ohio, at 53 years of age. buried in Mote Cemetery, Darke Co. Ohio. 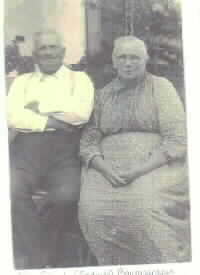 She married Joseph North in Darke Co. Ohio, August 2, 1910. 462 viii. 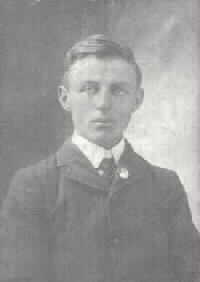 Elmer Ray Godown(1649) was born Franklin Twp, Darke Co, OH February 8, 1899. Elmer died March 25, 1899 in Darke Co. Ohio, at less than one year of age. buried in Mote Cemetery, Pitsburg, Darke Co. Ohio. 463 ix. Charles Ray Godown(1650) was born Franklin Twp, Darke Co, OH February 8, 1899. Charles died February 18, 1899 Franklin Twp, Darke Co, OH, at less than one year of age. buried in Mote Cemetery, Pitsburg, Darke Co. Ohio.